Amid the fervor of a surging stock market there remains a less discussed data point lurking. The U.S. dollar has dropped 9% year to date against an index of other currencies. Some have attributed this slide to an early April comment from President Trump who lamented that “our dollar is getting too strong.” Eventually, he concluded, “that will hurt ultimately.” Meanwhile, it’s also likely that the gradual interest rate hikes we’ve seen have contributed to the decline. Interestingly, some have posited that this definitive fall in value portends a brighter future for gold. 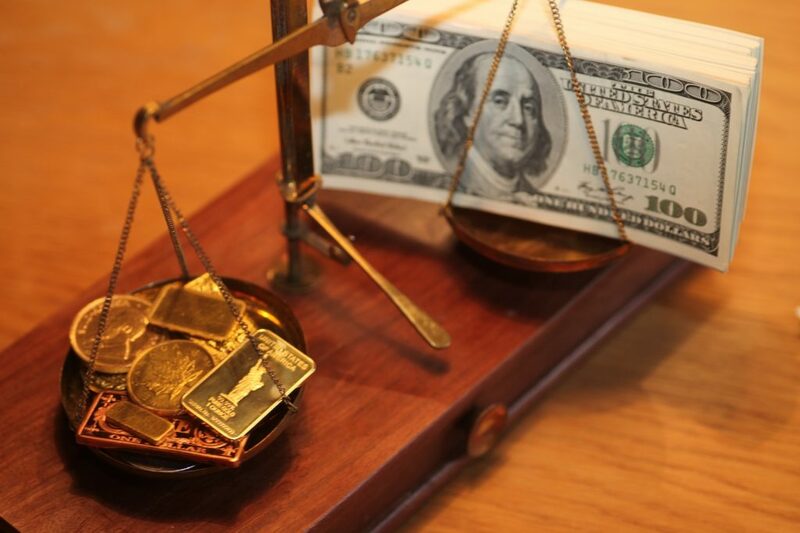 In examining this phenomenon, one can turn to a 10-year comparison chart of The London Bullion Market (LBMA) fix gold price in relation to the daily closing price for the broad trade-weighted U.S. dollar index. The long-term picture reveals a clear inverse relationship. For example, in mid-May of 2008 the dollar had sunk to one of its lowest points in recent history. At the same time gold was on a strong ascent choosing to rise as the dollar fell. Less than one year later the dollar began to make a sharp recovery while gold descended. Through the entirety of the 10-year span the relationship follows this “X” pattern where a rise in one asset begets a fall in another. It’s important to note that this relationship, like nearly all in finance, is not a law of physics. There are periods when the two move in the same direction. In fact, Citi Research has gone as far as to state, unequivocally that “Commodity prices have traded in a strong inverse relationship with the U.S. dollar over the past decade or so, but this relationship broke down in late 2016 and the breakdown looks here to stay." Some may argue that data from just 2016 onward is insufficient to reach a conclusion that contradicts a decade of patterns. The main underpinning to their argument is that a reduction in volatility in the commodities market as well as a broad recovery from the global financial crisis has brought the negative relationship to an end. Today we’re witnessing the dollar close at values nearing a 13-month low and investors are beginning to turn their attention, once again, to gold. Those asking how this trend will play out are looking to political headlines for clues. Economic policies designed to spur growth have not yet materialized amid a new administration. “There seems to be very little progress being made on a number of 'pro-growth' Trump initiatives, all being net bullish for gold," remarked an analyst with INTL FCStone. In the meantime, investors are leaning on comments from the Fed for clues on gold’s direction. While additional rate increases are certainly possible it’s also likely that such expectations have already been priced into the market. Some analysts have remarked to The Financial Times that they hold a near-term target at $1,300 per ounce after weighing all the conditions. Today, the correlation between commodities like gold and the dollar continue to evolve. However, for the long-term investor this holds little sway. The gradual, but significant rise in gold over an extended period always offers value.